The Victory® 10 LX with CTS Suspension offers a smooth ride with performance to match. Comfort-Trac Suspension (CTS) is the next generation in mobility scooter ride comfort. Pride’s industry first technology incorporates advanced suspension components for improved absorption over rough surfaces, and a more comfortable ride experience over various terrains. 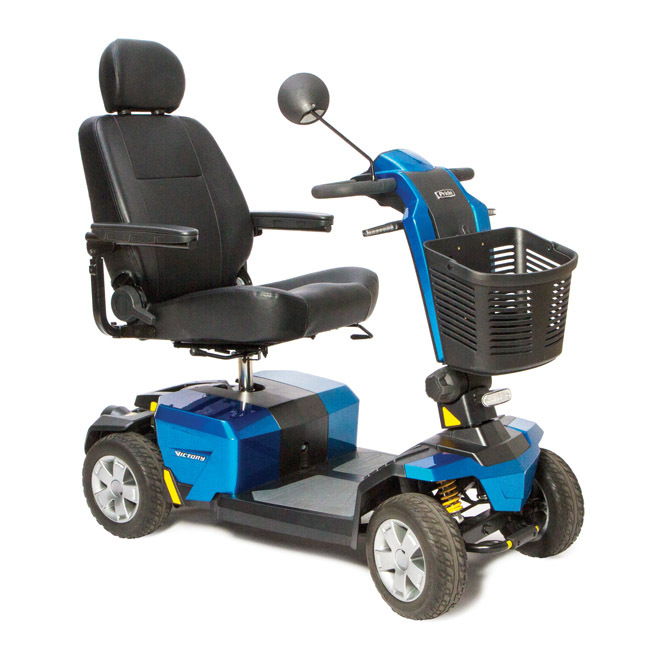 Our power chairs, scooters and lift chairs are Food & Drug Administration (FDA) approved medical products that require specific testing prior to release for public use. The testing requirements accepted by the FDA were developed by the American National Standards Institute/Rehabilitation Engineering & Assistive Technology Society of North America (ANSI/RESNA). The tests are conducted in accordance with the requirements of the ANSI/RESNA Test Standards and complement an additional stringent testing regiment developed by Pride’s Research & Development Team.